The AdventureDawgs are a pack of two (and a driver). We love to roam the open roads and find the hidden places that others might miss. I’m hoping that anyone reading here will be able to learn from our travels, both the good and the not so good, and will be entertained in the process. Since 2015, the dogs and I have driven, camped, hiked, and eaten our way all over Canada and the United States. Being a country girl, I have always loved the outdoors and used to spend all my free time roaming the hills and forests where I grew up in southern Ontario. My wandering ways started at a very young age and if you spend more than a few hours around my mother, she’ll be more than happy to share stories about how she would suddenly realize that the house was too quiet. She would get more more panicked as she tried to find me and then there I’d be, down the road wearing only a pair of rubber boots. Fortunately I don’t do that anymore; heck I don’t even own a pair of rubber boots. There is a slowly expanding section for product reviews and gear guides for humans and dogs so be sure to check back often. Let’s face it: this whole site is for the dogs. They are my pride and joy and I am so lucky to be able to share my travels with such amazing creatures. While the dogs all have their own unique personalities, they function so well as a pack. Read about how that pack is so much more than the sum of it’s parts with this link. Click here to read about the trip that started it all. 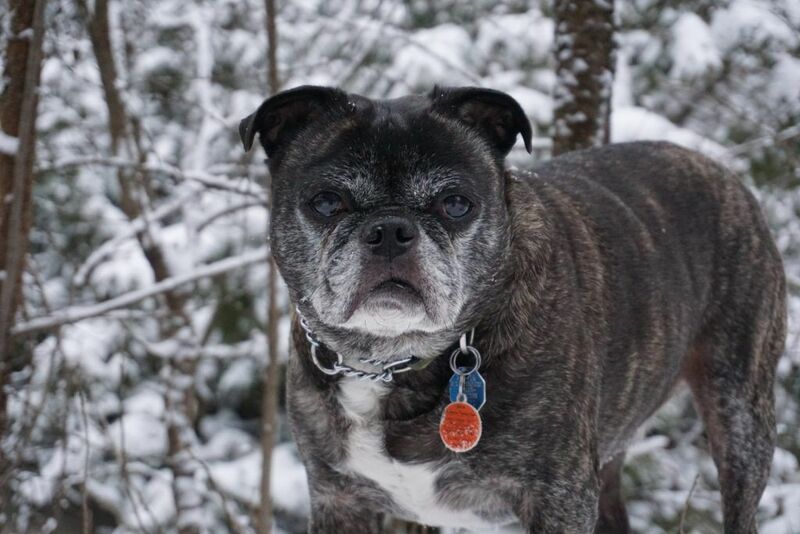 Jack is a Boston Terrier/Pug cross born in December 2007. He is the old man of the pack and is happy to snooze the day away unless there’s a treat involved. He is surprisingly athletic for such an ungainly-looking dog and will happily track rabbits and deer if he catches a fresh scent. He is one of the smartest dogs I have ever known and has figured out how to manipulate other dogs out of their toys and prime sleeping places. Sleeping, cheese treats, and the hot sun. Want to know more about Jack? Click here for his story. 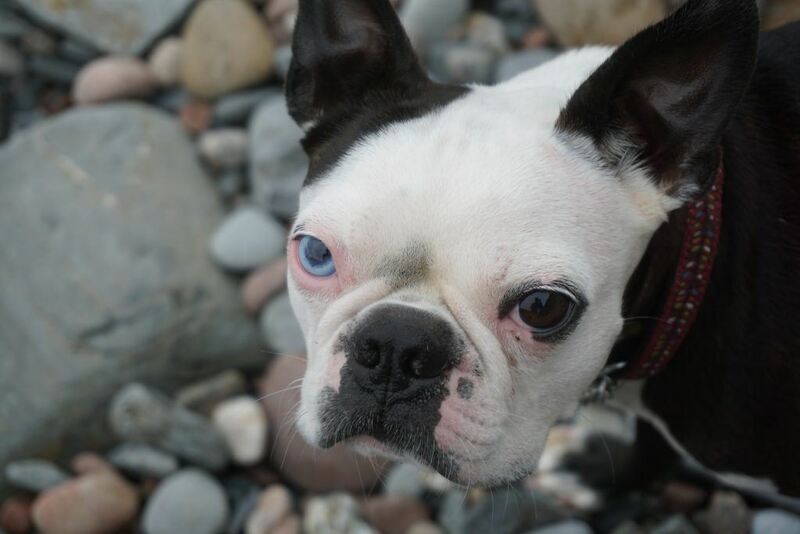 Leo is a Boston Terrier and is the baby of the pack, born May 2012. He is a mischievous little dog who loves to play tug with everyone especially his older brother Jack. We cannot step onto sand without him immediately dropping down to roll. He is the real watch dog of the group and is usually the first one to bark at the door. Treats, sucking on his teddy’s nose, long games of tug, rolling in the sand, and more treats. Having to put on his coat and boots on a cold day. Click here to read about Leo’s story as it is a sad one with a happy ending. 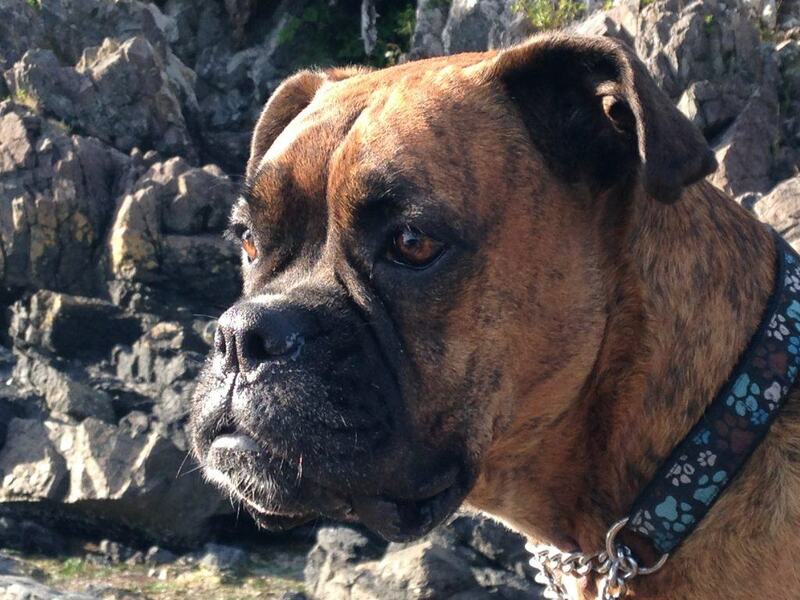 Piper is a Boxer and I’ve had her since she was seven weeks old. She was born just before Valentine’s Day 2010. She was my first dog since I was a kid and she latched onto me the minute we met. Piper was supposed to be a guard dog but was always too snuggly to take that job seriously. She was never more content then when she could be a big lap dog. Snuggling with everyone, especially “her” cat Chase, long walks, and anything to do with water. Not being in centre the the action. Click here for Piper’s story. She was never really a healthy dog, although you would never know it by looking at her. I used to joke that she was my million dollar baby. Then in November 2018, I had to euthanize her because of a mass growing in her abdomen. No matter how much time passes, I will always miss her. Read a tribute to her here. 4 response to "About The AdventureDawgs"
I used to travel with my dogs, but alas they are no longer with me. They even carried their own food and water on the trail when hiking/backpacking… them was the the dayz! I did the same with Piper but unfortunately time has taken its toll on her body. They truly are the best travelling companions. Thanks for following my blog. I love that you use Dawgs in your blog title! I saw Dawgs in yours and my interest was piqued so I had to stop by and tag along.